Does the WiFi no longer connect to access points on your iPod Touch 5th generation? 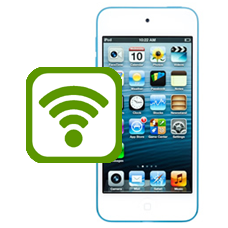 Maybe the WiFi is greyed out in the settings section, do not worry we can fix your iPod Touch 5 WiFi fault. Allow our expert technicians to replace the WiFi assembly for you. * Our normal repair turnaround times are 3 - 10 working days. We always aim to complete repairs as fast as possible. This is an in-house Apple iPod 5th Generation repair service, when ordering this service you are required to ship your iPod into our repair centre for works to be undertaken.